At Big Guy’s, we bend over backwards to serve you, our best customer! 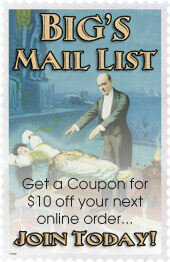 A free weekly newsletter that keeps you up to date on all the newest and best magic available for purchase On-Line or at our Brick 'N Mortar Store in Pewaukee, WI. Come visit our shop for a fun, magical day. Jeff McBride did. So did Brett Daniels, Rick Wilcox, David Ginn, Bruce Bernstein, Chad Long, Keith Fields, Howard Hamberg, and Tomas Medina. Are you next? We hope so. 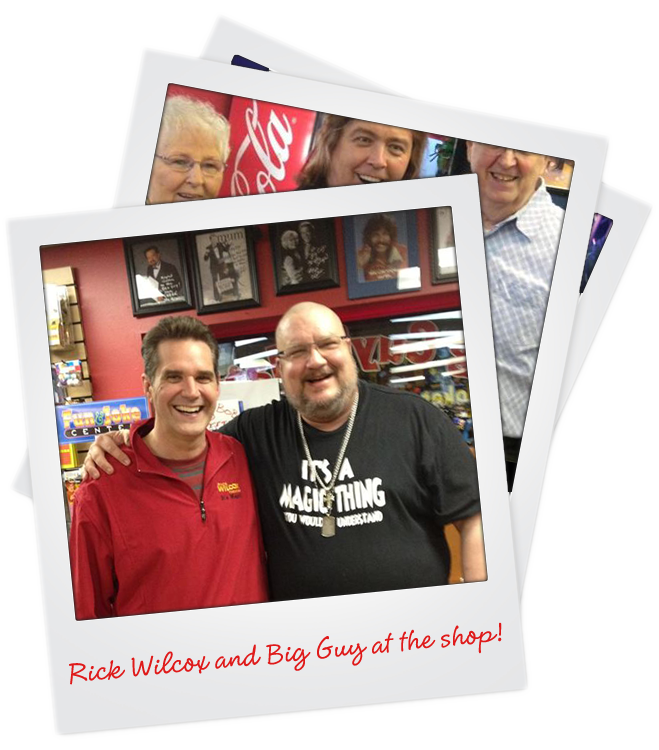 When you do, you’ll quickly discover that we are not just a “bricks and mortar” store but the gathering place for a magic and entertainment community. 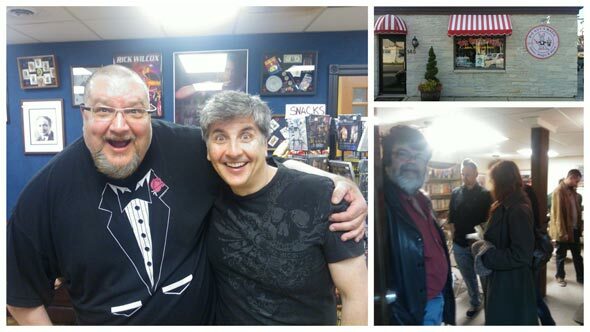 At Big Guy's Magic our belief is that our customers needs are of the utmost importance. Our entire team is committed to meeting those needs. As a result, a high percentage of our business is from repeat customers and referrals. We would welcome the opportunity to earn your trust and deliver you the best service in the Magic industry. 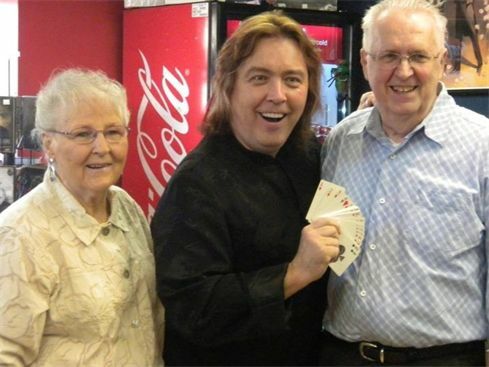 Jeff McBride stops in for a visit at Big Guy's Magic and entertains the Big Guy's Mom and Dad. 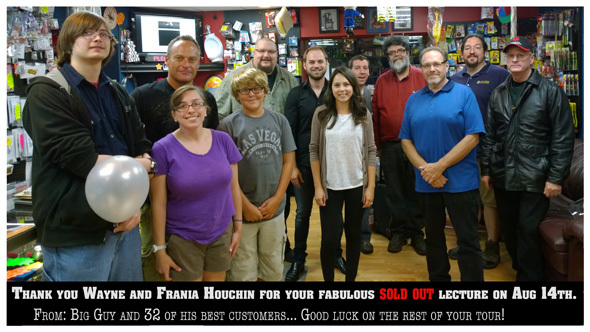 Richard Sanders Lecture at Big Guy's Magic! We hope you can find everything you need if not we will get it in for you. Big Guy's Magic is focused on providing high-quality service and customer satisfaction - we will do everything we can to meet your expectations! With a variety Jokes Magic and More to choose from, we're sure you'll be happy with our selection. Look around our website and stop by our store if you have any comments or questions, please feel free to contact us. - Big Guy and the shop crew!